We believe theater gives teens a chance to challenge themselves, take creative risks, and explore who they are and who they want to be. Through theater, teens express their individuality, develop skills for the future, and make life-long friends. At Verge Theater, we focus on creating an exciting and supportive process which invites teens to build compassionate community. 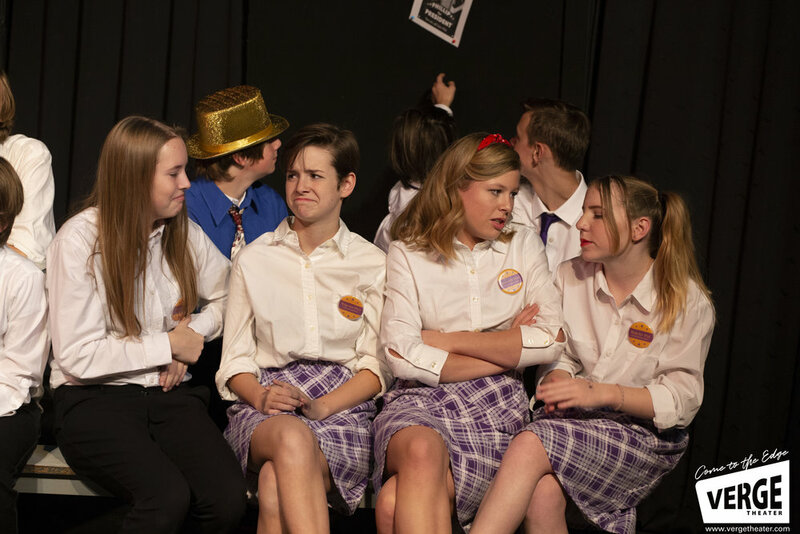 This program provides a full production experience for middle and high school teens. They not only develop their acting skills, they practice collaborating as a team, setting and working toward goals, and implementing their ideas. Teens in our program tell us that they love the friends they make as much as the fun they have! Improv teaches teens to trust their ideas, to accept and support one another, and to turn mistakes into treasures. In our improv classes, teens meet once a week to practice improv skills and laugh... a lot! The nine-week format gives us time to develop a supportive community, which is essential. Joins us to discover the endless supply of ideas in each of us! The Teen Playwriting program gives teens a space to share their unique voices and imaginations while developing resilience and their skills as writers and communicators. 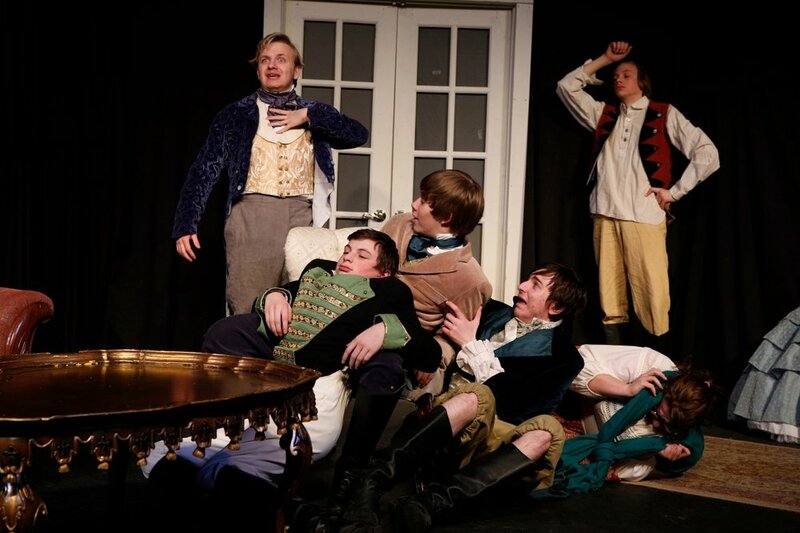 Teens will practice the tools and techniques involved in developing their ideas into complete dramatic scripts that are engaging and meaningful to themselves, their peers and the larger community.
" The inclusive community that is created helps build confidence and fosters creativity. Please keep doing what you are doing." "'Family' building is the best thing that has happened to my child since reaching the painful, isolating teen years. The Verge and its people have become a comforting, welcoming place for her." "The program provides kids a chance to bond in a healthy, fun, collaborative activity that they all enjoy"
"Community! The people here are utterly incredible. The fact that I get to spend 10 hours a week in the place that allows me to be me just brings a smile to my face."